nTop Platform is helping companies realize products for Additive Manufacturing by integrating the Design for Additive Manufacturing (DfAM) workflow and removing inherent barriers to iterative redesign necessary to create breakthrough new products. Most models and methods for design and innovation suggest that true innovation comes from not just a single event of inspiration, but rather the constant iteration and improvement upon an initial idea or design. Grit prevails over genius. Fail early, Fail often, Minimum Viable Product, User-Centric Design, these mantras all speak to the idea of iterating quickly to deliver truly innovative solutions. James Dyson tested over 5000 iterations of his product before releasing the company’s first bagless vacuum. The Ford Model T is named such as the iterations before it (Models A, B, C and so on) were all iterative improvements on the original design. It’s clear that the ability to iterate leads to innovation. As we iterate, we gain knowledge about our product and systematically de-risk the entire effort. An inability to iterate leaves this exchange of risk for knowledge until the very end when there’s little time left to make changes. The truth is that iteration is difficult and expensive in design engineering efforts that result in a manufactured product. Design revisions result in hours of rework and a duplication of effort when models fail due to geometric errors. As a result, there is a natural aversion to iterate even though its impact on product success is well understood. Design for Additive is no exception and introduces even more manual rework in file translations, build configuration, and slicing steps when a design is altered. More often than not, Design for Additive is left as an afterthought of engineering design. At this point, low-level changes are made to the as-designed part to enable self-supporting features or to add sacrificial volumes that can be machined away for dimensionally critical features. There are other changes that can be made to fully leverage the capabilities of additive manufacturing, but small changes to a model might require other dependent features to be reworked. Again, this is time-consuming and expensive. 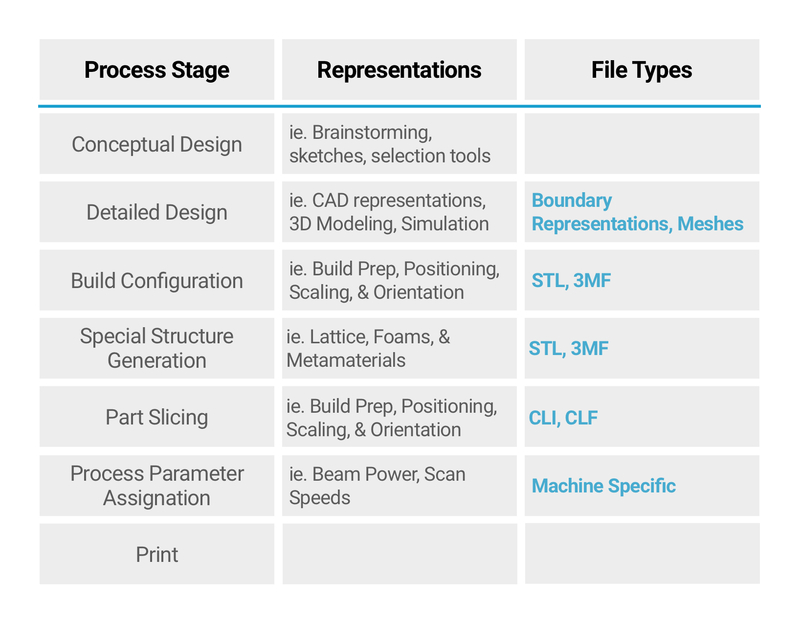 Below is a typical workflow when designing for Additive Manufacturing. We start with a conceptual design that gets represented in CAD software and is translated step-by-step to ultimately be configured for Manufacturing. Changes to the part’s design or geometry in CAD require significant rework in order to get back to a print-ready configuration. Iterating back through one of these stages has an associated cost due to the rework required to adapt the models at each subsequent stage. Software development has adopted an agile development framework because changes to a software’s codebase will compile and rebuild automatically. 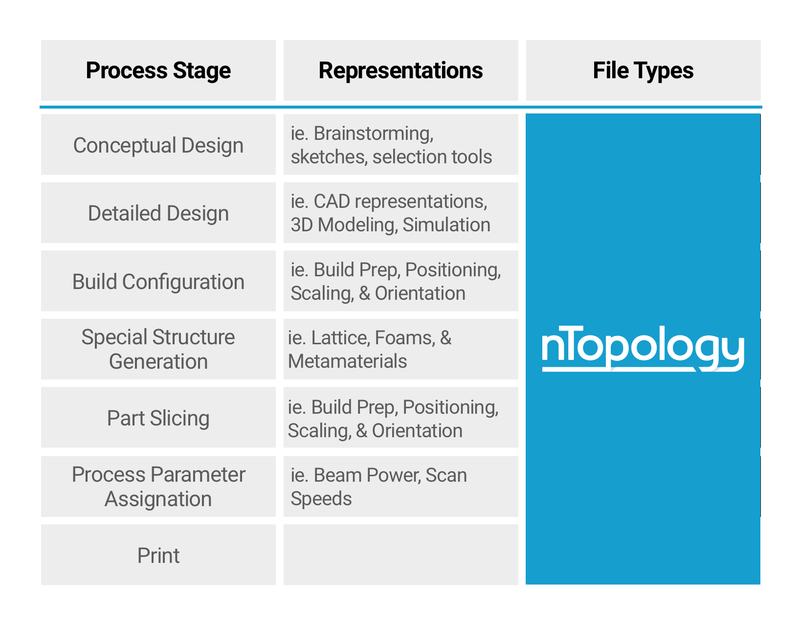 This is what nTopology Platform does for the engineering design process, removing the traditional barriers to iteration and innovation. Specifically, this connects design and manufacturing in a way that enables DfAM in a seamless fashion with implicit modeling. Let’s see an example of what a DfAM workflow might look like for an engineered part. 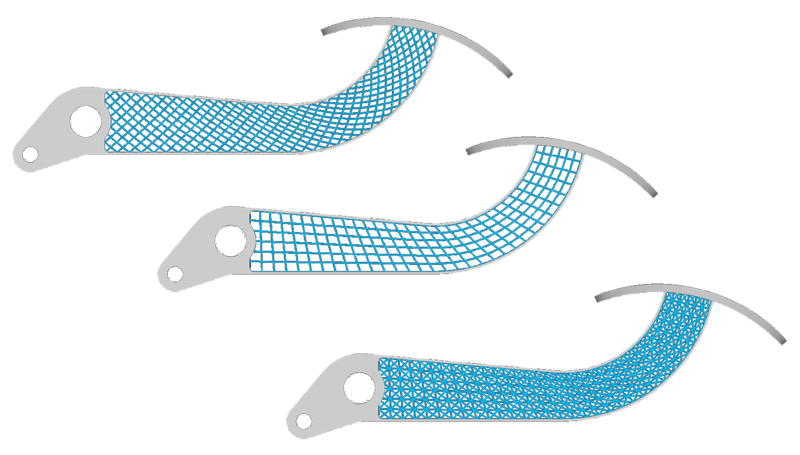 The simple design challenge is to lightweight a brake pedal to be additively manufactured. The workflow starts with an original model geometry. In order to lightweight this part, various lattice configurations are explored with Platform’s lattice tools. Each lattice type is thickened and joined to the original model, according to part’s strength requirements. A common problem with additively manufactured lattice structures is delamination between the lattice and skin. To mitigate this, a rule is created to blend the lattice into the skin smoothly. Thanks to implicit fields, this can be done robustly and globally without manually selecting every edge in the model as would need to be done in conventional toolsets. Traditional methods would require hours of tedious edge selection which would need to be repeated if changes are made later to the geometry. At this point, we might decide that we want the lattice’s thickness to be non-uniform and maybe vary as a function of distance from the main mounting point. Again, implicit fields allow us to specify this rule, and when we, the rounds we specified in the previous step still regenerate. The final step in creating manufacturing-ready models is to create contour slices. Platform provides the freedom to generate and specify additive tool paths and scan patterns to deliver directly to machines. At this point, if we wanted to go all the way back to step 2 of the design process and change the lattice type, not only can it be done but the other rules specified in the workflow will also rebuild according to the new lattice selection. The thickness rules and blends will still apply to the new model without additional work! This is the benefit of designing with the implicit data structure —rebuilds are fast, robust, and do not fail. And as before, the part will regenerate all the way to the contour slices that were specified in the initial workflow. At nTopology we are streamlining the engineering design process in a way that enables robust rebuilding after changes to a design at any point. This ability is largely enabled by the implicit modeling technology in nTop Platform. Users have the ability to make upstream design changes that rebuild all the way down the design chain! Users can also configure orientation and supports to export slices to send directly to a machine, and any upstream design change will recompile all the way back to that point automatically. Not only does this save time for design engineers, but this also removes the barriers to design revisions and iterations. James Dyson spent years to complete the 5,127 iterations required to produce a great and innovative product. This effort is being enabled in days with nTopology’s software. nTopology is helping teams exponentially reduce their product development time. This is done by enabling multi-dimensional, early-stage design exploration and connecting that to an implicit engineering workflow that robustly rebuilds ready-to-manufacture parts, software like nTopology Platform is enabling widespread use of additive manufacturing and changing the way products are developed. We invite you to see nTop Platform in action in an upcoming technical informational session on March 27th, 2019. We’ll show practical examples of the efficient flow of data and design changes by using the implicit modeling technology and robust modeling capabilities in nTop Platform. Blake is a mechanical engineer with a PhD in Engineering Product Development from the SUTD-MIT International Design Centre in Singapore. 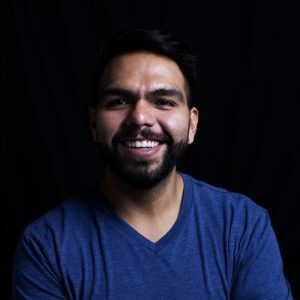 He is a manufacturing specialist with experience from semiconductor to oil & gas with a focus on Design for Additive Manufacturing. Recently we introduced the concept of geometric modeling using an implicit representation, which permits robust operations and the ability to work with many sources of input data. Our flagship product, nTop Platform, uses implicit modeling to generate functional designs from CAD geometry, simulation output, and topology optimization results, generating precise geometry and toolpath data for additive manufacturing and CAM.